MisH MaSH's Paddy Gunning, Niamh Nic Aodha Bhuí, and Marion Byrne. TWO ESTRANGED sisters, on the run from each other and their respective pasts, are forced to come fact to face - with each other and their demons - after their mother's death. And why is the local grocery boy executing her will? This is Hope and Fury by William Andrew Brooks, which will be staged in the Town Hall Theatre by a new Galway theatre company, MisH MaSH, who met through Sarah O'Toole's Galway Actors Workshop. 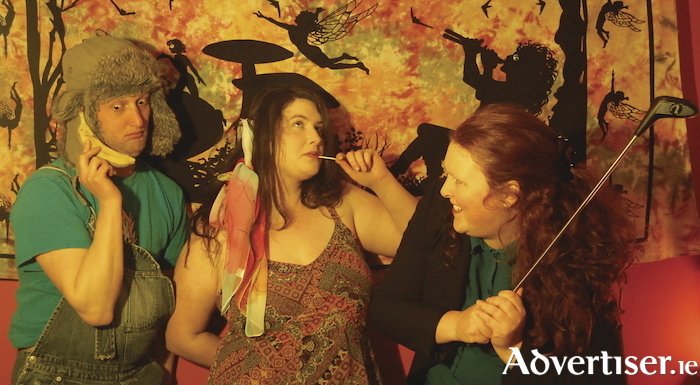 The group's three members Niamh Nic Aodha Bhuí, Marion Byrne, and Paddy Gunning, play Hope, Fury, and Chris, the grocery boy, respectively. Paddy has been involved with Macnas, Blue Teapot Theatre and the Galway Theatre Festival, as well as That’s Life. He teaches drama with Bua-Ka Theatre for young adults with learning disabilities. Marion began acting through Trading Faces. She co-directed, produced, and starred in Not Your Typical Damsel In Distress. Niamh recently starred in KATS’s production of Pretend Sick and The Odd Couple, and appeared in Fair City, Ros na Rún, and Ripper Street.